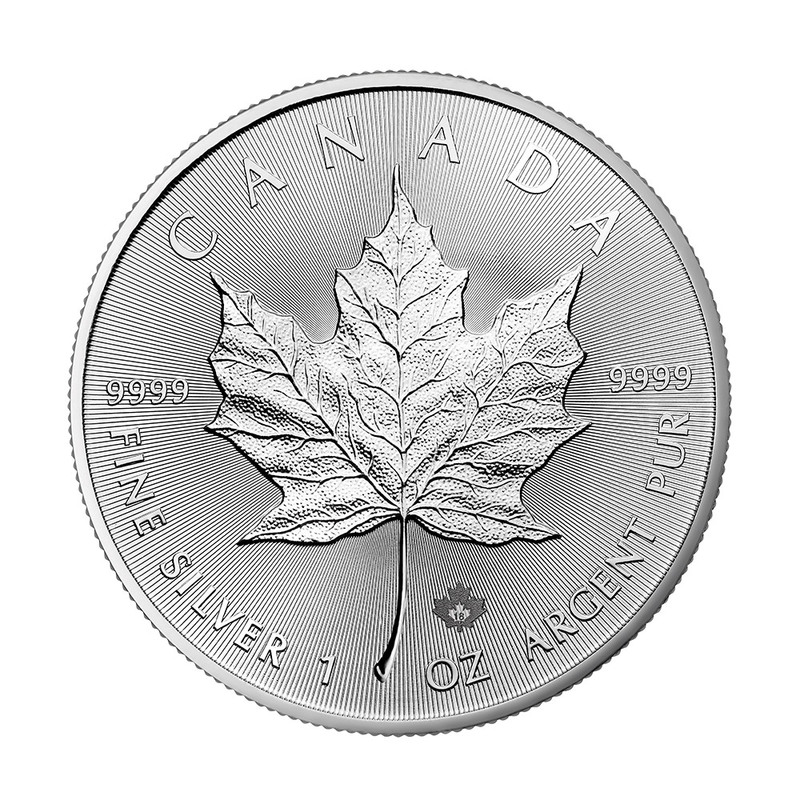 This elegant one-ounce (oz) silver coin, 31.10 grams (g), "Canada Maple Leaf" is one of the most popular bullion coins in the world and is attractive to investors or collectors. 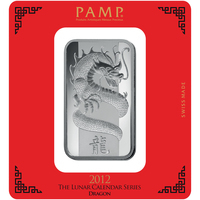 This coin would make a beautiful and elegant addition to any collection, as well as a wise investment. With the coin "American Eagle", it is one of the most bought and most loved coins in the world. However, "Canadian Maple Leaf" coins are often less expensive than their American sister, "American Eagle", which makes them more attractive and creates, at the same time, a bigger market for them. Silver prices and gold have, in the past, demonstrated their ability to counter inflation making these precious metals safe havens par excellence. 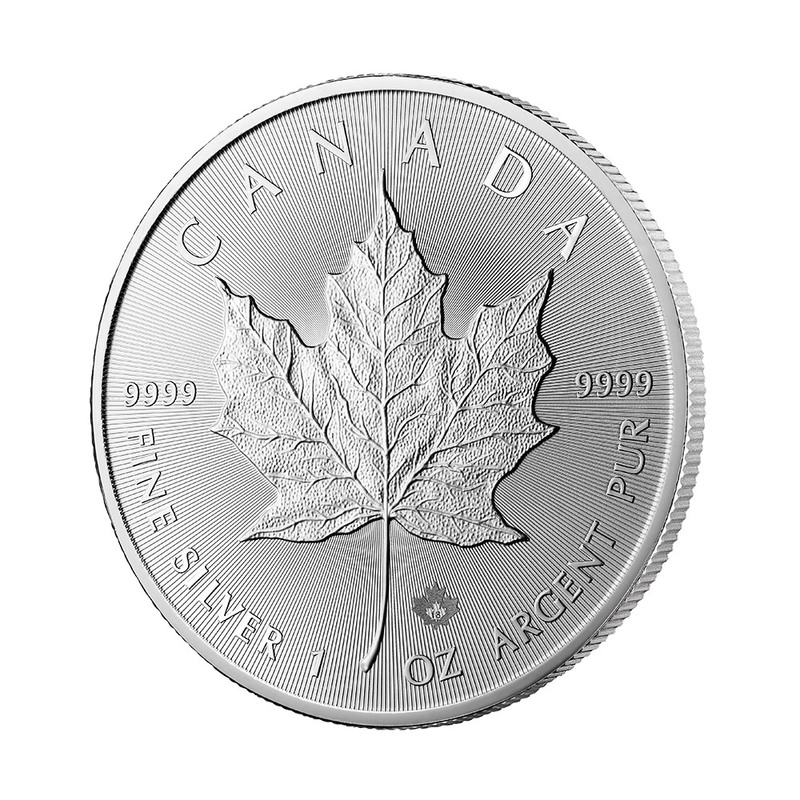 One side of the coin showcases the Canadian maple leaf, with the purity of silver and the weight of the coin. The other side of the coin is Queen Elizabeth II. This Canadian maple leaf is universally recognized as the symbol of Canada. 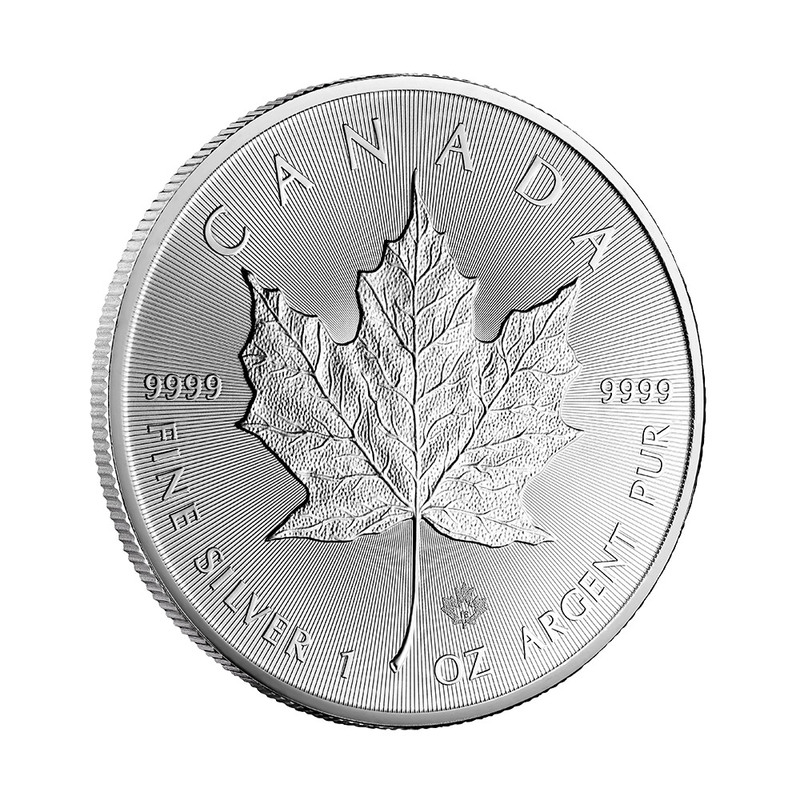 Protect your Canadian Maple Leaf silver coin from fingerprints by carefully handling your coin and using cotton gloves. 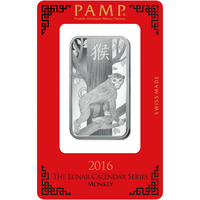 Always keep your precious metal coin inside a clear plastic cap for added protection! This will expose the room in a very elegant way, and will also add extra value. 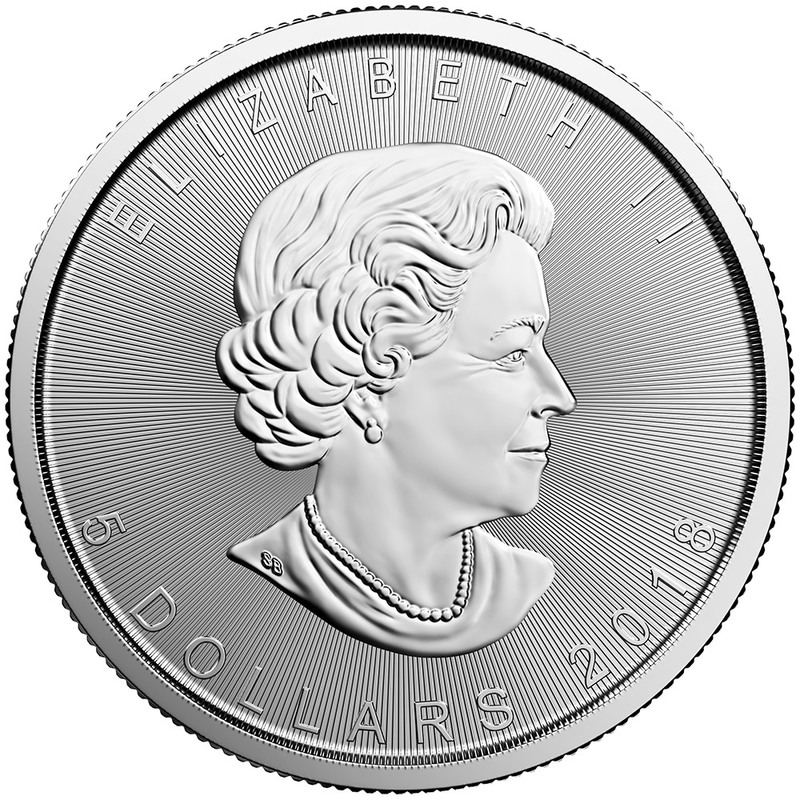 The coin was designed in 2003 by Susanne Blunt and, interestingly, it is the first and only coin to date, especially in the British Commonwealth, which does not depict Queen Elizabeth II with a crown on her head. This makes this coin one of the most iconic coins in history. 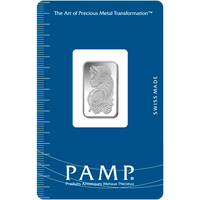 It is also the first coin in the world to achieve 99.99% purity. 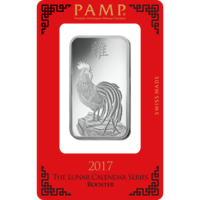 It was launched by the Royal Canadian Mint in 1988, celebrating its 30th anniversary this year.